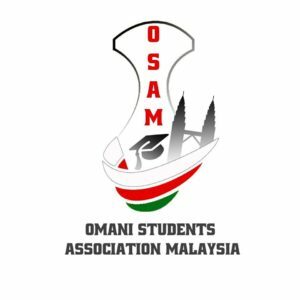 Under the supervision of the Cultural Attaché Office in Kuala Lumpur and with the permission of the Ministry of Higher Education in Sultanate of Oman, the Omani Students Association Malaysia (OSAM) was established in Malaysia in October 2017 according to the regulations of students clubs and associations outside Oman. OSAM is a non-profit organization and is the premier representative body of all Omani students in Malaysia. It aims to organize events and activities to strengthen relationships between Omani students, help them reach their goals and represent Omani culture by participating in international events at Malaysian universities.